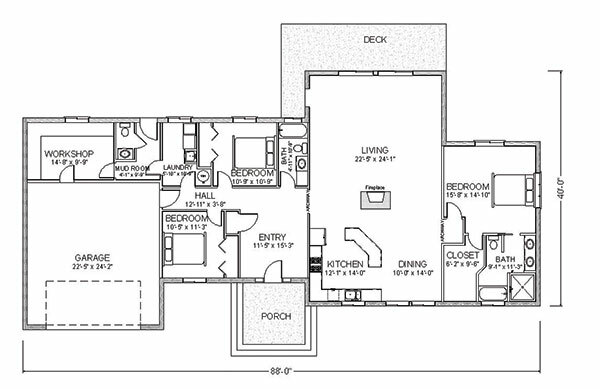 With an enormous, inviting great room, the Tamarack offers comfortable living with breathtaking design. The open kitchen and dining area make for easy entertaining. The master bedroom offers privacy, with a large walk-in closet and ensuite bathroom. Two more bedrooms and another full bath are in the opposite wing of the home. 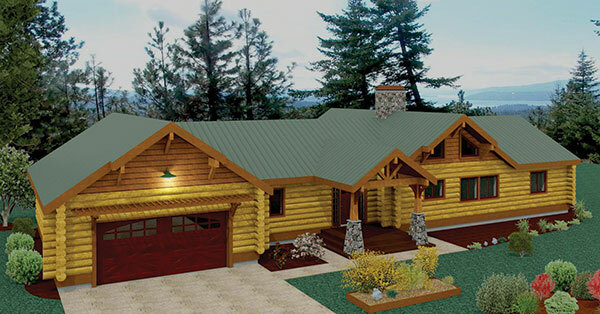 An attached garage includes space for a workshop as well as another half bath in a mud room.